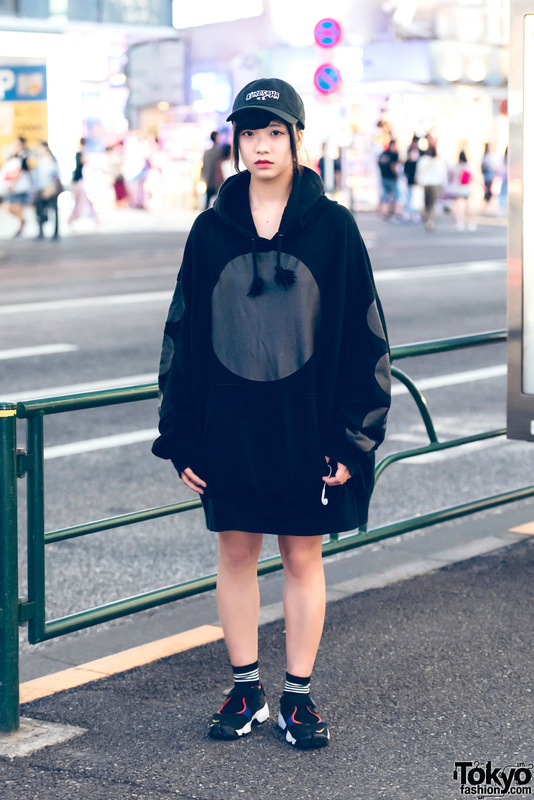 Harajuku girl in all black oversized fashion with hoodie sweater, split toe shoes and “Kurosawa” cap. 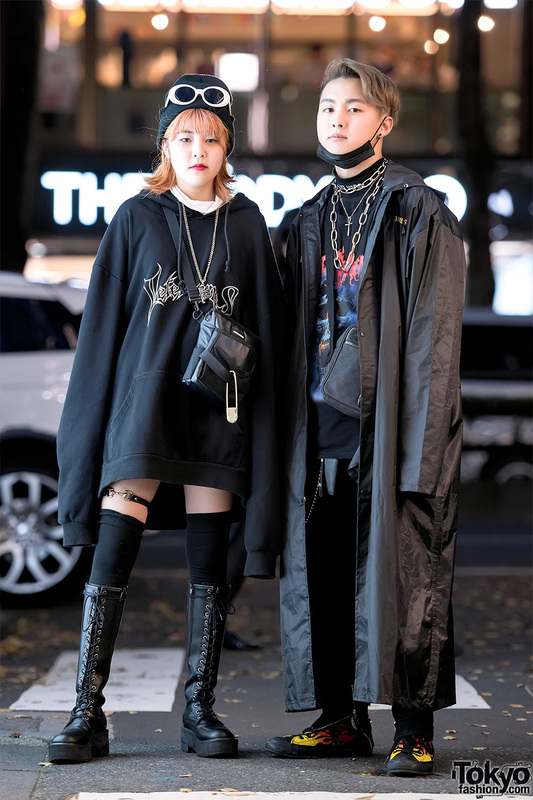 Harajuku girl and Harajuku guy both in Vetememes street styles with additional items from Open The Door, Gucci, Converse, and Tokyo vintage shops. 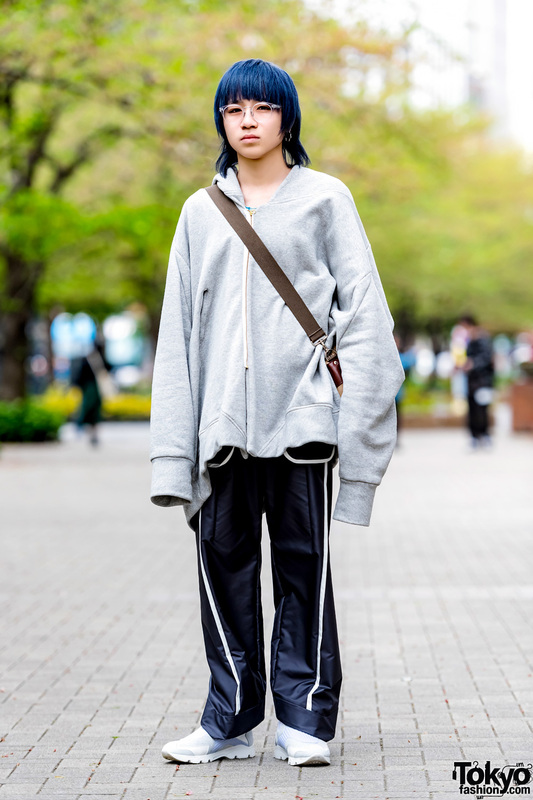 Harajuku blonde guy in graphic streetwear fashion w/ oversized hoodie jacket, black skinny pants, platform shoes and an envelope clutch. 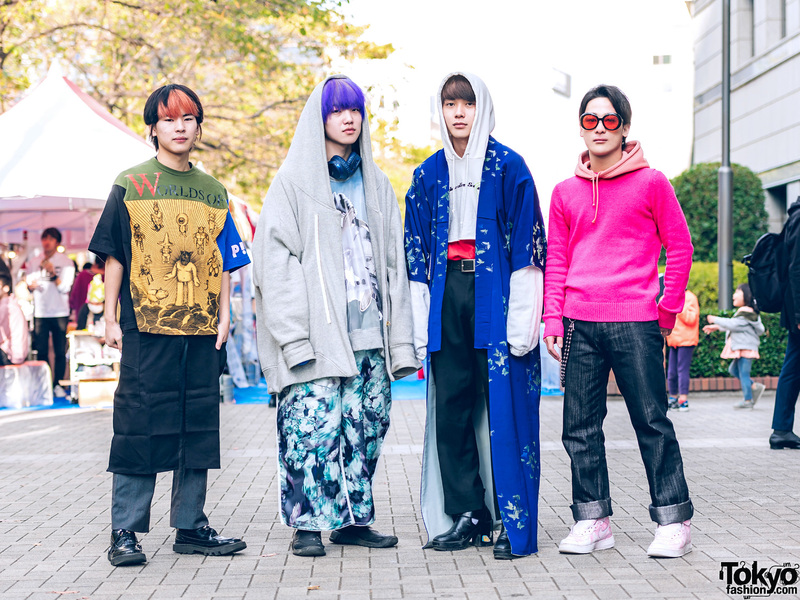 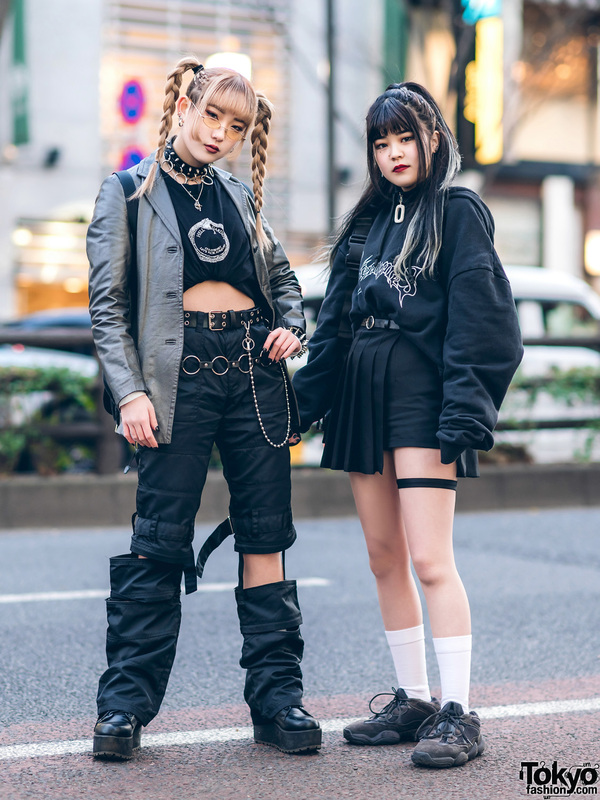 Japanese designer and Japanese artist together on the street in Harajuku wearing gothic fashion and accessories and well as original handmade items, Demonia platforms, and a Teenage Mutant Ninja Turtles tee.